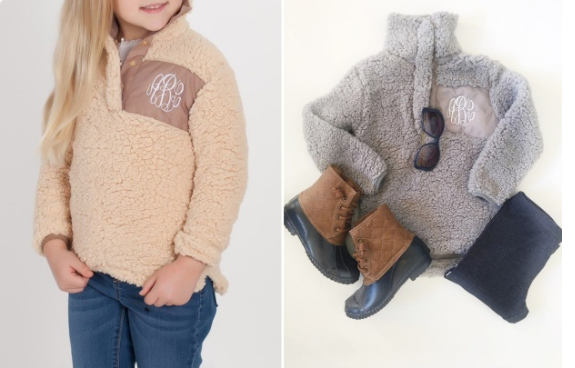 Check out the Monogrammed Kids Sherpa Pullover Blowout. Right now, you can get these for $19.99, down from $44. These pullovers come in three colors and are roomy and oversized for a nice, warm and comfy fit.